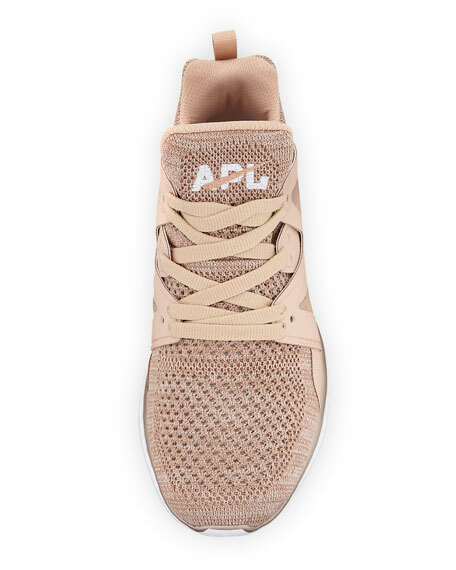 APL: Athletic Propulsion Labs Techloom stretch-knit sneaker with reinforced rubber sides. 0.5" flat heel with logo; slight platform. 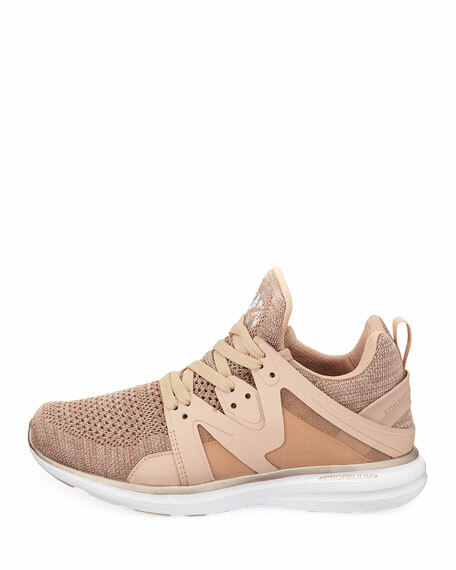 For in-store inquiries, use sku #2466416.